Kyol Blakeney gives a powerful presentation about understanding the concept of systematic oppression and institutionalised racism. This ranged from presenting ideas about the current structure we live under in the country of Australia and its perceptions of Indigenous Affairs. He speaks about stereotypes and the approaches consecutive governments have taken to ‘deal’ with the Aboriginal people throughout the 228 year period of colonisation. Questions are raised about the effects of some of these actions pursued by governments towards Aboriginal people and the long term effects they carry for future generations of the longest surviving culture in the world. 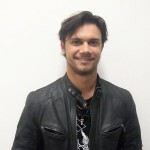 Kyol Blakeney has served as Indigenous Officer of the Students’ Representative Council (SRC) of the University of Sydney for 2 years and was the NSW State ATSI Officer for the National Union of Students in 2014. He is the President of the SRC at the University of Sydney and a vocal Aboriginal Rights Activist. He is also studying a Bachelor of Primary Education.